My name is Benson Koh. I manage and co-found SRI, a real estate agency. I eat, play and sleep real estate since leaving the full-time national service 12 years ago. You can find me Linkedin here and Facebook here. This blog is mostly about real estate and personal muses. With immediate effect, the cooling measures shall take place. Attached are summary of how the ABSD (Additional Buyer Stamp Duty) and LTV (Bank Loan to Value) is adjusted in points. These bittersweet move is somewhat anticipated yet executed very quickly, causing an overnight uproar of sales over showrooms. These measures should hamper existing buying sentiments and should effectively cool en bloc cycle and foreigners’ interest in Singapore residential market. Collaborations between team mates are common in our business. For the matter of fact, it’s likely more common than ever in any trades but this article is meant for realtor’s collaborations and advice on how to find yourself the strongest possible partnership that you could leverage on one another forever. Ok maybe not forever, but for the longest time you will be able to find the satisfaction from working together. As part of leadership, for team mates to have collaboration, you have to be mature to let everyone know that partnerships would take time to mature and if it does not work out to be as envisioned, observe again the following traits and end things off in an amicable manner so that there is less damage to your friendship, and even your name should partnership turn sour. Look ma! Same watch even on holiday! How many of you would defend your friend in adversity? How many of you would stand up and defend when your friend is being dissed in a private conversation or even walk away and not participate in baseless conversation? Friendship takes time to build and invest. Mutual liking for one another would be how genuine you are in order to show the other being how much of a friend you are to them. There’s not even any description I could attest to friendship as it’s a strong feeling that binds two or more beings together in comrade. It’s like knowing what the other person might do and you do things to compliment your friend instead of doubling the effort required for a task. Group trip to Hokkaido, 4 years and counting. Everyone is still working together! The more time you spend together, whether its for work, play or even family time. The more the following few traits which I have described below will be more apparent. Spartan Beast in Brisbane – You have my back, we have yours! Integrity is part of having this trait. To trust would be knowing that when you’re doing one thing for a cause, your partner will be supporting you without taking advantage of you as all of us are on the same side. It simply means that even with bickering and differences in opinions to support your goal, you know that your partner has your back so that you could dedicate your time wholeheartedly instead of being suspicious. A situation where I move then you move, I don’t because you don’t makes complete different sense away from trust. I would think in Chinese it would be labeled more of “non calculative” (不计较). As two parties or more work together, the requirements of scope to achieve a vision requires some sacrifices, whether its time or money. Money is also a byproduct of time, as you exchange time for it, whether its measurable. So efforts wise cannot be equated or measured properly. A partnership is formed because you find synergy in another being and even strategic plus traits that the other party has. Whether it is something that you can see, or can’t (as with synergy), as long as both parties are working towards the same goal with trust, there will be long and short ends but as long as both finishes together. Partnership definitely isn’t for everyone. All people are born differently and have their own reaction to people around them. We always seem excited when we started to talk about a grand vision, but when its time to get things going, the above 3 traits one or another is usually being compromised. That’s why partnerships usually breaks up, and more often the sad thing is that friendship could have a permanent dent. Yearly affair in 1000m hut, Hirafu. 8 years and counting. My working partner in business, Bruce and I have came a long way with the above 3 traits of a strong partnership that has enabled us to create a community of realtors friends which shares most of the same good values as us when it comes to work and play. Without pun intended, I would say this as the most ultimate partnership that many are longing for. It will be many years to come when we semi-retire in glee and still spending time as old stubborn men in our silver hair age laughing at the most ridiculous events and doing the most stupidest things, yet still giving back to the community where we can contribute as much as we have received. We have come onto a consensus too that we love what we do and will not retire even when we are old and disabled. Like the saying, brothers from different mother. Have someone like this and you can build a long outstanding working relationship, otherwise work on the traits above. They won’t just yield you just good partnerships to have, but definitely good businesses and loads of loyal friends that will safeguard your interests along the way. Best of luck in building ultimate partnerships and bonds that will never break! Recently, the two homegrown agencies Propnex and DWG has joined force to become the biggest real estate agency to overtake ERA in terms of number of realtors in Singapore. This news has caused ruckus in mockery for both of them, at least in my opinion. My father in law asked me over dinner. Friends from different industries talked about it during coffee. I rolled eyes. The media focused, invited Propnex to Channel 8 news and Mr Lim was commenting on changes that could improve consumer’s habits. The papers coverage, the online authoritarian news channels. SRI’s office is located currently in 66 Eng Watt Street #01-06, Tiong Bahru. The consideration for the venue of business has been carefully planned before inception. From its open concept area to its cheerful pantry environment, we believe that an open environment breeds communication. Loads of chic eatery places, great coffee baristas and local food all within walking distance. Last but not the least, no car park issues! With SRI’s office, the elite realtors can commute quickly to areas which we have a strong foothold in, whether in Central Business District(CBD) which is just 10 minutes drive away, or prime districts such as Orchard, Newton, Bukit Timah which is merely 5 – 15 minutes distance. Time savings. Time is money. I’m never one to endorse overseas projects due to this class of investment’s uncertainties as appose to our regular local projects where we know our demography a lot better. However, One18 Residences has piqued my interest knowing the people behind the development and after numerous stress tests on the developer and SRI is proud to be the sole exclusive marketing agency for One18 Residences, Phnom Penh, Cambodia. Still a third world nation, Cambodia has been enjoying exceptional growth and attention from foreign direct investments (FDI) in recent years. She has enjoyed averagely over 7.2% in GDP growth annually and is set to do the same at least in upcoming years; As for us at home, being a first world and with recent big slump in the financial, oil and gas industry, we are experiencing one of the weakest growth in GDP over the past 7 years. As with a member of AEC and situated in almost the same latitude of great AEC neighbours, Thailand, Vietnam and Laos. They are growing rapidly with strong young population and transforming quickly into a business hub with attractive favourable conditions for new and established businesses. 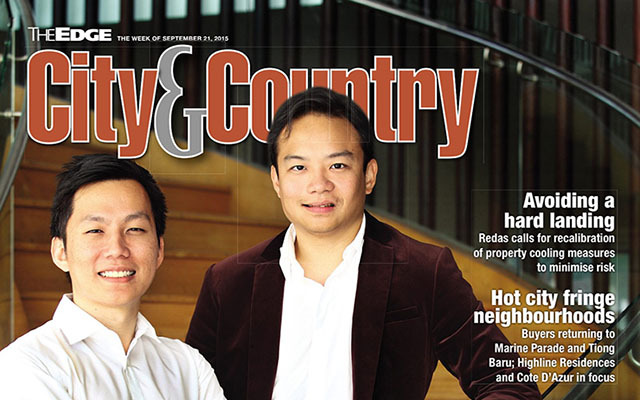 We are happy to be featured in The Edge on being the next upcoming realty agency, with mainly people whom have been with us for the past 6 years. As the article mentioned, our office is at Tiong Bahru, the quaint place which is full of old charm and great food. You can read more about the article here at The Edge. I’d like to touch on the headline since it could spin off as something which might carry some negative thoughts to either SRI5000 or SLP International. Reading the article might shed better light as the full article is very neutral in standing. It was an amicable split that we do things our way to the best of our abilities to give and bring the best to our realtors. We have no affiliation with SLP Realty, SLP International or ZACD with our new setup. Citing our differences, we still wish them the best in their future endeavours. It’s coming close to 10 years embarking this journey. Remembering the time when things were simpler, the consistent struggle as an individual; the happiness and disappointments when I first started out in team building. The adrenaline rush when closing the first deal, the satisfaction of seeing my clients happily settling down with their homes and garnering property returns in the long haul still excites me till this day. With the formation of SRI5000 from the blessings of my former team in Knight Frank and a stroke of fate in a penthouse sale, Bruce Lye and I thereafter came together in SLP Empire (now known as SLP Realty) where we then had the chance to work with many great people. We are still counting our blessings. People always ask us how did we maintain the bond so tightly for such a long time. It’s really an open secret. With the hard and the good times that a team stays together, forging a bond that could withstand the test of time. You have people that’s willing to give, you would receive in aplenty. You take care of the circle around you and the circle takes care of the ones that’s around them. It’s just plain karma at work. 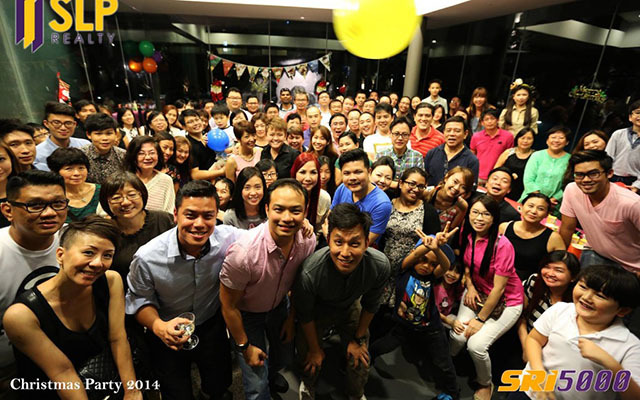 Singapore Realtors Inc (SRI) embeds the spirit of the group’s vigor and tight friendship, with the willingness to share and assist one another be it in good or bad times. The pivotal reason to have make the decision with Bruce was to ensure that everyone that we cared for have a place where we can continue to grow and learn together. Veteran Tony Koe whom I’ve known for a decade who knows exactly how to run an excellent agency with his experience and with our combined vision of achieving a good ratio of quality versus quantity for our elites in the industry, there’s a high level of confidence that this is another milestone that has yet to cast. 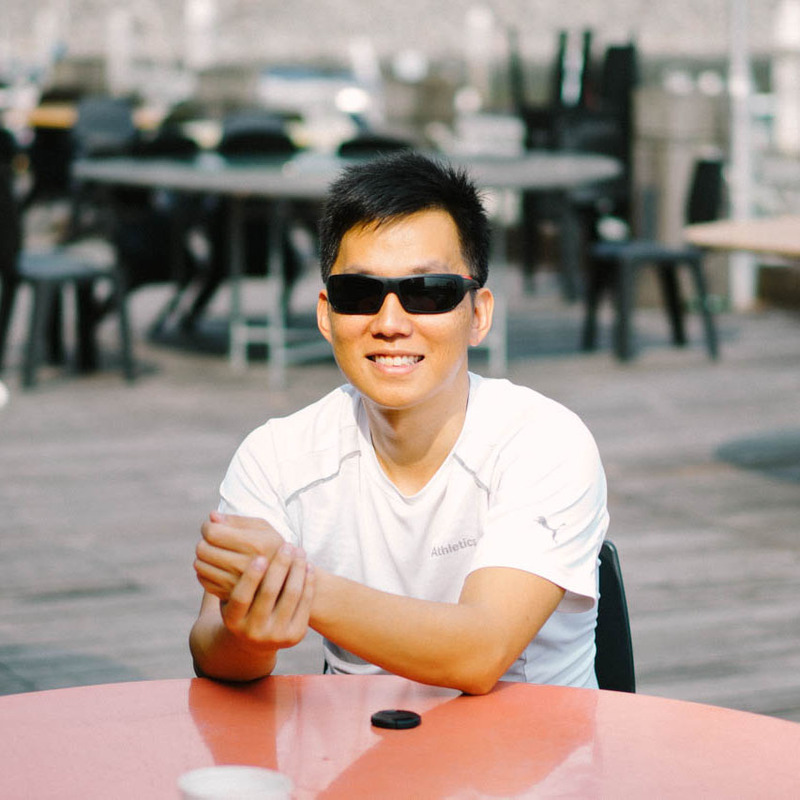 Also not forgetting a strong support from Legalworks that the elites enjoy a peace of mind when assisting their clients and Nick Tan, our current KEO who has been actively participating in growing. Last but not the least, the strong iron fist administrative support from Angeline Quek and Rose Khoo, whom has already forged their bonds with the team years back. ps. Like our Facebook page if you pop by!